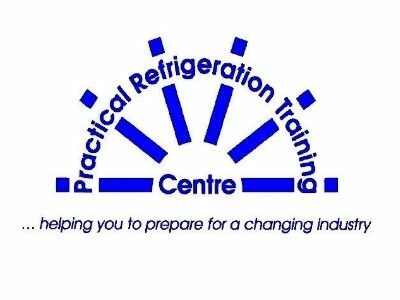 Practical Refrigeration Training Centre is an independent learning provider established in 1991. We provide formal & bespoke training specifically in refrigeration, air conditioning and electrical related disciplines, to meet the needs of Lancashire businesses, with an emphasis on carbon reduction, energy efficiency and environmental impact. Our training is aimed at novice and practicing engineers as well as building owners/users to aid compliance with current energy building regulations/legislation. All courses emphasise the importance of key environmental issues, giving personnel and businesses the opportunity to improve building and system/s performance by conserving and reducing energy usage. With an already impressive track record for delivering NVQ qualifications ( Level 2 and Level 3 ), we are extending our existing courses, aimed at experienced personnel who need formal recognition, achievable over a shorter period of time via a comprehensive skill scan to ascertain prior knowledge before commencement. Our facility’s major strength is its wide range of typical refrigeration and air conditioning heat pump technology systems to give practical hands-on training, coupled with industry experts in delivery to underpin knowledge required. Our success is in recognising the business needs of companies wanting to contribute to our low carbon economy aim; this will ultimately improve operational plant/system and building performance. We are fully accredited to deliver a comprehensive suite of formal qualifications for City & Guilds and also Construction Skills from basic introductory level through to advanced design and product selection. We do provide a tailored training and advice & guidance service to meet legislation requirements aimed directly at end users and operatives. As a leading educational establishment we promote and support industry and educational progression working with awarding bodies and institutes. We have regular attendance at national training awards, we believe wholeheartedly in promoting and recognising student success. With an increasing need for buildings to become energy compliant and building owners or users to be familiar and also compliant with key changes in how we use our energy, we are working collaboratively with like-minded bodies and businesses from a diverse field to tackle and address skills shortages in Lancashire ensuring businesses are aware and best placed to meet their targets from an environmental perspective now and in the future. ARE YOU QUALIFIED? WE CAN HELP. The key to a growth plan is first and foremost to understand your target audiences, by identifying key personnel who can deliver and drive your plans forward. Reward staff who drive your business forward, work collaboratively with key stakeholders and engage the wider business community. Recognize your strengths and address your weaknesses consistently and don’t be afraid to make changes to improve your business procedures for the ultimate aim, after all success breeds success. Lancashire is at the forefront of social & economic development and businesses can provide employment to re-generate our Towns and Cities. Our manufacturing and engineering importance and also significance enables businesses to contribute directly to our improving National economy. New developments in transport and links between Towns and Cities will attract new investment. Growth deals supported by the government, investment in infrastructure and development of long term economic plans make Lancashire an ideal place to grow a business. Its central location also makes it an ideal choice. We are backing and supporting Boost because we believe in working collaboratively and making a creditable contribution to the economic development of the wider business community in Lancashire.